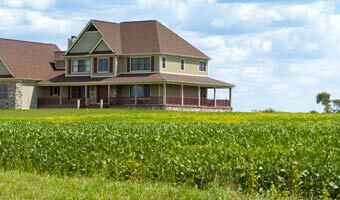 If you have a USDA loan and are interested in saving on your mortgage, consider a USDA refinance. Even if your property is underwater (in other words, you owe more on the mortgage than what your home is currently worth), this could be a great money-saving option for you. And the benefits? You don't have to go through another appraisal, property inspection, or credit report. Plus, you can even include your closing costs and escrow charges in the new loan amount - meaning you don't owe anything upfront. Waterstone Mortgage Corporation (NMLS #186434) is a wholly owned subsidiary of WaterStone Bank SSB (NASDAQ: WSBF) . Copyright Waterstone Mortgage Corporation. All Rights Reserved.